Has your cramped office been getting you down? If so, you need to figure out how you can maximize your limited office space so that you can make your work area as efficient as possible. Here are some great tips that should help you do just that! Stand-up meetings are becoming very popular with companies for numerous reasons. One is that they encourage meetings to be very brief and to-the-point as no one wants to be on their feet for too long! But they are also very useful if your business as limited space in the office. People can just stand in the middle of the office or walk around if you don’t have the space for a dedicated meeting room. One great advantage of walking meetings is that they get everyone’s blood flowing, which can really help generate inspiration! There are a few ways you can create the illusion of space in a tight office, one of which is allowing as much natural light in as possible. Don’t worry if you don’t have enough windows for this, you can just be clever with artificial lighting instead. For instance, you should use LED spotlights that illuminate the whole floor space, rather than just illuminating the ceiling. This can help make the room feel a lot larger than what it actually is. 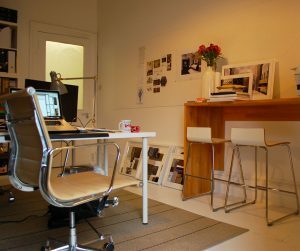 Clutter is going to make your office feel significantly tight on space, and one of the main sources of clutter is paper. You can try and reduce all of this by printing fewer documents and contracts, instead store them in the cloud. Alternatively, you might want to think about using document storage services. These firms will collect all of your sensitive documents and contracts and store them in their warehouse for you, which can save you a whole lot of space! In a large office, you would be able to add quite a few filing cabinets and drawers. However, you just won’t have the space for this in your small space. Because of this, you need to start thinking vertically and seeing if you can add some shelves to your walls. You might also want to add some wall hooks for coats and jackets. These will save the space that would be taken up by a standing coat rack. Art can really brighten up your office space and add a touch of your own personality to the space. However, if you use too many busy patterns and go overboard with the wall hangings, you might find that it feels like the walls are closing in! Rather than adding lots of different artworks to your walls, you should stick to one bold color for an accent wall. This will attract attention and help your office space look very stylish! 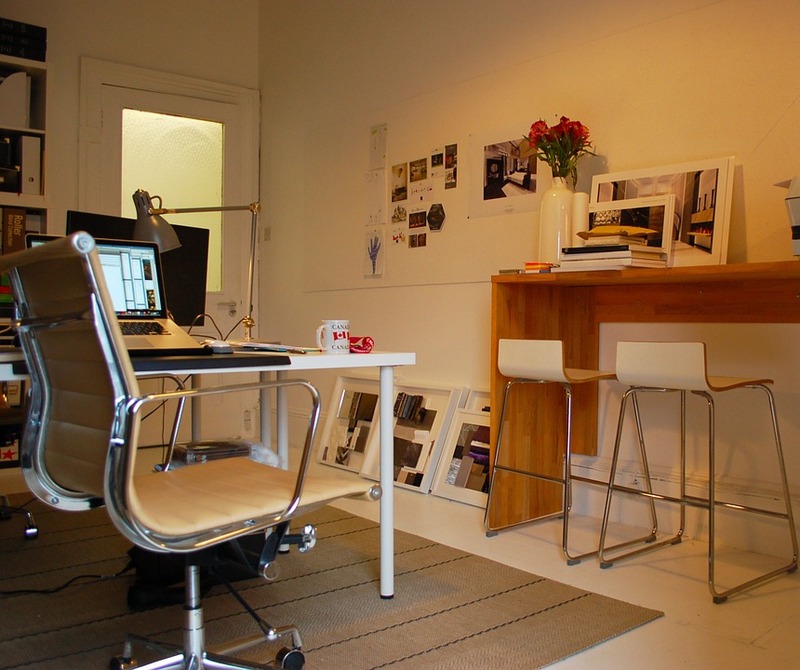 No office is ever too small once you start to use these tips! You might be surprised to find just how spacious you can make yours feel!